Make it feel like everyone’s together in the same room. 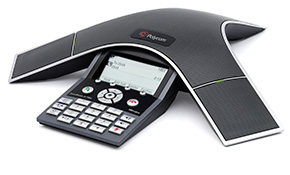 Polycom conference phones are the standard because they deliver the clearest sound to every participant in every location. 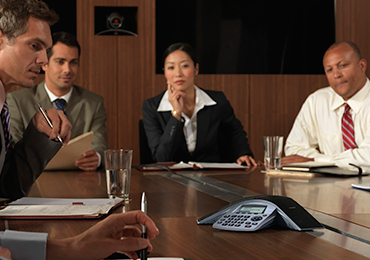 Our advanced audio technology allows each conference phone to intelligently adapt to different room environments. 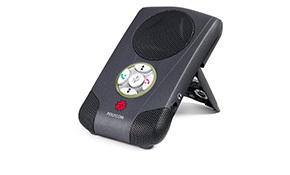 So everyone can hear and be heard, even when more than one person talks at a time. You’ll eliminate confusion and enhance productivity. Not a single word—or opportunity—gets missed. 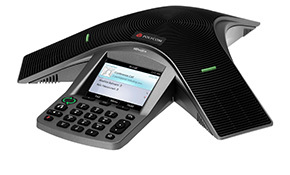 Advanced IP conference phone featuring HD Voice clarity and Polycom video integration for midsize to large rooms. 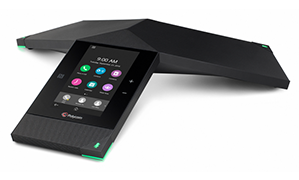 A premium IP conference phone designed for midsize rooms that offers remarkable HD Voice clarity. 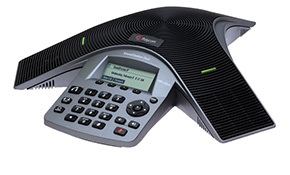 Advanced IP conference phone for small conference rooms and executive offices. 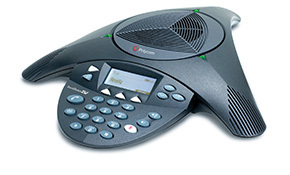 The standard for analog voice conference calls in small and midsize conference rooms. 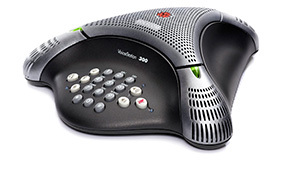 Superb analog voice conferencing performance combined with the freedom and flexibility of wireless. 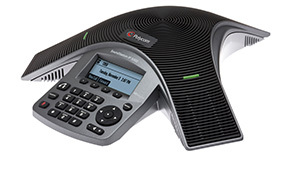 The first and only conference phone that is Optimized for Microsoft Lync 2013 and Microsoft Lync 2010. 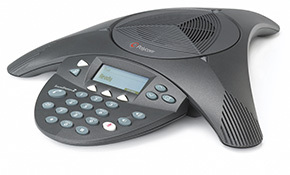 The obvious choice for group audio conferencing. 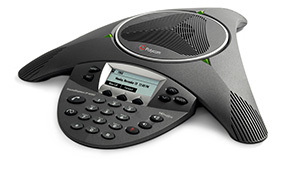 Crystal-clear analog conferencing for smaller rooms and desktops. 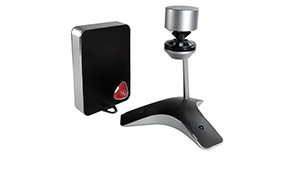 An engaging, unique 360-degree video and audio experience with HD active speaker tracking for Lync 2013 (USB only). 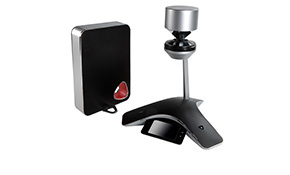 An engaging, unique 360-degree video experience with HD active speaker tracking and an IP speakerphone for Microsoft Lync 2013. Portable, hands-free calling from your PC.